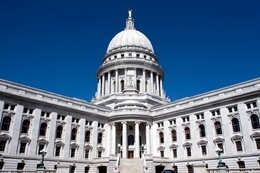 The links below will be useful to learn more about Wisconsin state government and your Senators and Representatives. If you have any questions about legislative issues, please feel free to contact the WAO administrative office. Current Legislative Issues--Read about issues that we are tracking on your behalf. Wisconsin State Legislature--Track legislation, search for bills, access Senate and Assembly member web pages, and much more! Find Your State Legislator--Learn who represents you in the Senate and Assembly. Wisconsin Department of Regulation & Licensing--This is the agency responsible for professional licensing and regulation.